One night in December of 2006, I was driving down University Avenue in Philadelphia during a power outage, and found police officers stationed at most of the major intersections trying to direct traffic with flashlights. It required considerable focus to separate the police officers from the head lights of oncoming traffic, and to figure out what traffic commands they were communicating. Every driver was confused and frustrated. The Traffic Safety Glove is a hand illuminating tool designed to increase the visibility of traffic control personnel and improve communication of traffic commands. 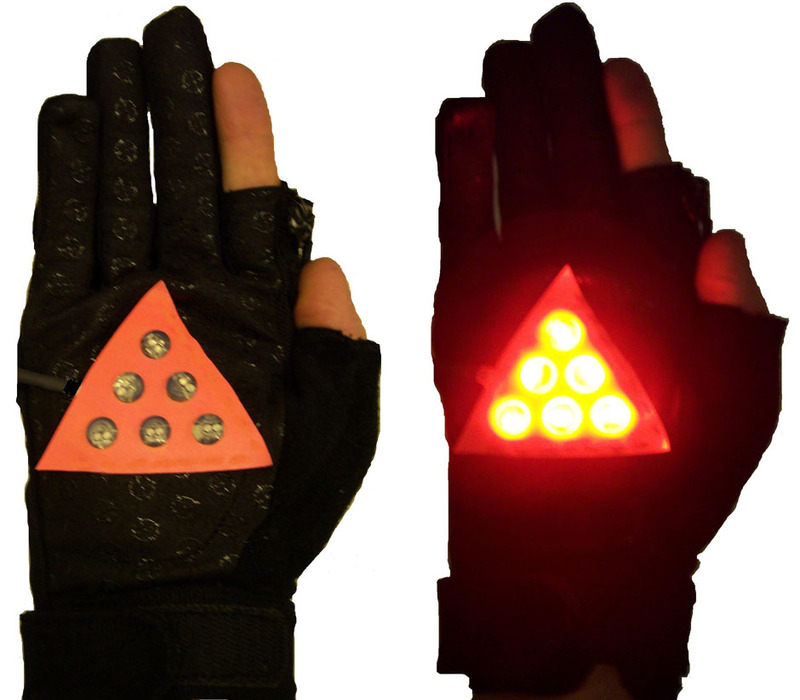 The device uses two flexible LED assemblies mounted to the palmar and dorsal sides of each glove. The palmar side can illuminate in a red glow to signal STOP to one lane of traffic, while the dorsal side can illuminate in a green glow to signal GO to another lane of traffic. 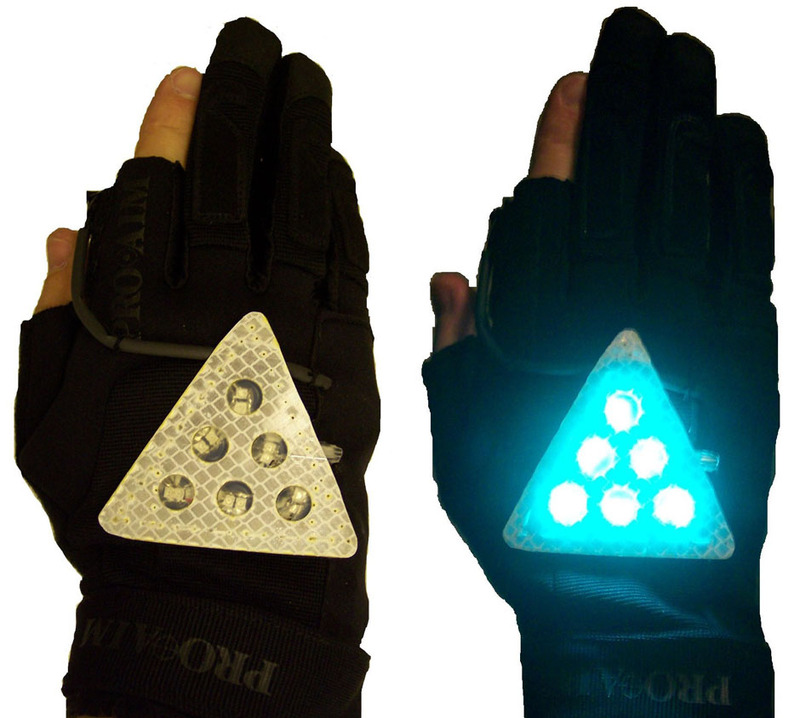 A moment switch and a motion sensor built into the glove allow the user to control which side of the glove illuminates. The user’s hand motions for controlling traffic remain the same. The only difference is that the colors of a traffic light are mapped to the hand motions to enhance the effect of the traffic command. For the summer of 2007, I received funding from the Weiss Tech House Innovation Fund and the GAPSA-Provost Award for Interdisciplinary Research to further develop the traffic safety glove. The University of Pennsylvania Police Department generously arranged a focus group with their traffic control division from which I gained valuable user information to define the glove’s functional requirements and constraints. By the end of the summer, I had a functional prototype, which the UPENN PD field tested during a university event (see video above). As part of this work, I filed two provisional patents (one before the summer and one after), and eventually filed a patent application. After an 18-month wait for the patent office response, however, I learned an earlier provisional filing beat mine by six months. Fortunately, I wrote most of the patent (including drawings) and only brought on a law student/patent agent at the end to help with the claims and final editing. This kept the patent costs under $1800 (though this was offset by claiming the $2500 prize for placing second at PennVention 2008, UPENN’s invention competition). Despite the disappointing patent result, the experience was worth it. I had the opportunity to develop an idea into a functional prototype, gather field test data, conduct focus groups, build relationships with the potential users, identify potential markets, raise funds to support development, research prior art, and write my own patent.